I have a few more cards to share with you featuring some of the newly released items. If you didn't get a chance to shop the other night, you can find all the newly released items HERE. 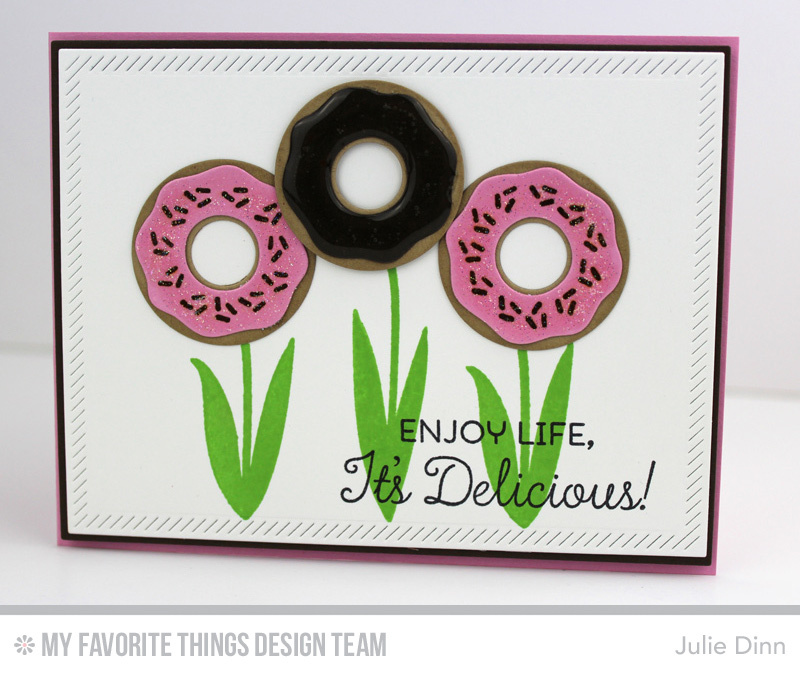 For my first card, I had some fun combining Lisa Johnson's new Spring Tulips set with Laina Lamb's Donuts Die-namics. 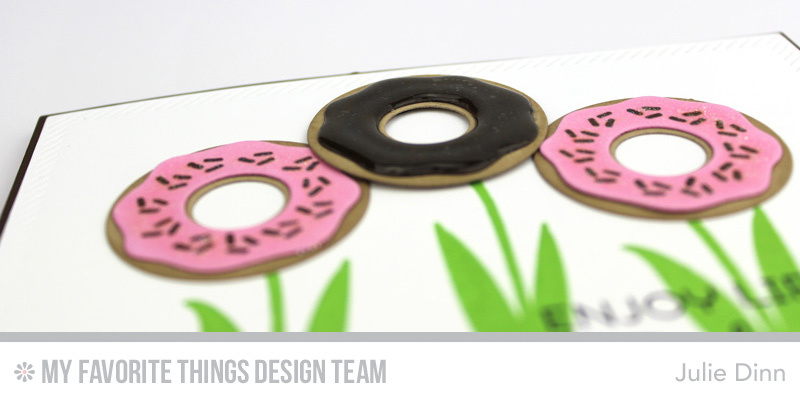 I die-cut the donuts in Kraft card stock, the icing was die-cut in Cotton Candy and Chocolate Brown card stock. I covered the pink icing with chocolate sprinkles and Sheer Sparkle Glitter Glaze. The chocolate icing received a couple of layers of Glossy Accents. The leaves were stamped in Green Room Premium Dye Ink. On the inside of the card, I stamped a sentiment from the Donuts and Sprinkles stamp set. I also added a few extra donut flowers. 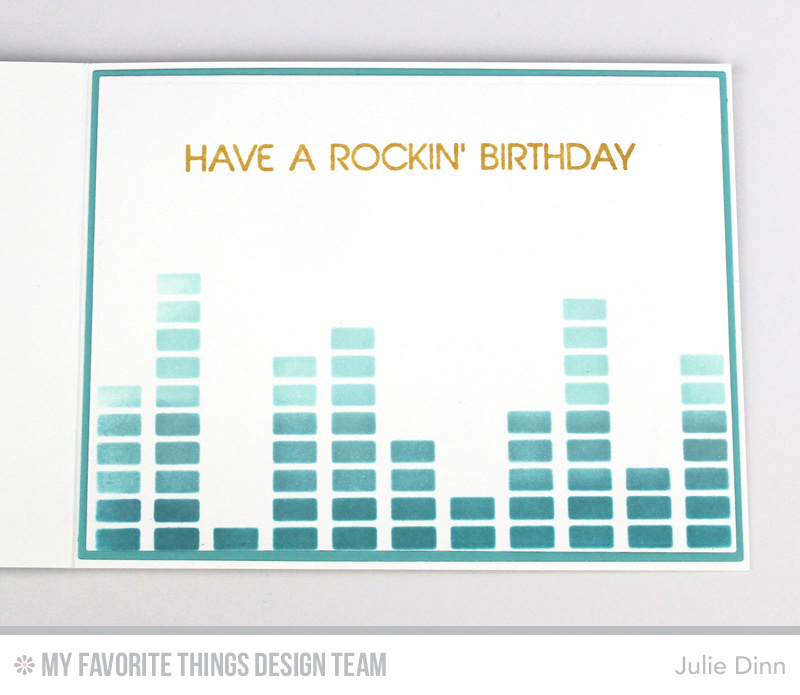 I have one more card to share with you today, this one features one of my favourite stencils, the Equalizer Stencil. Seriously, how fabulous is this stencil? It goes perfectly with the Headphones Die-namics and the Keep On Rockin' stamp set. I used a number of different Premium Dye Inks with the Mini Blending Tools and the Equalizer Stencil, Sno Cone, Summer Splash, Berrylicious, Blu Raspberry, and Tropical Teal. 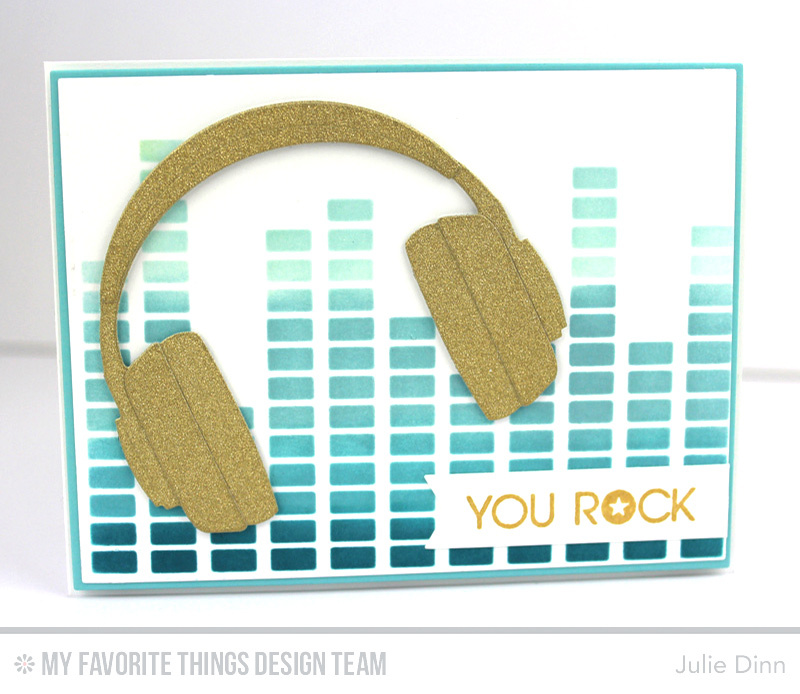 The headphones were die-cut in a glittery gold card stock. The sentiments were stamped in the gorgeous Delicata Gold Pigment Ink. Love the donut flowers....very creative! I just had to comment on your donut flowers as well ~ so clever and "out of the box" thinking! Where do I get seeds for such flowers? Super cute!! LOVE the donut flowers! how cute!! Love the "donut" tulips. Love, love, love BOTH your cards today!! !